Bahria Town Peshawar is an upcoming addition to Bahria Town Real Estate Portfolio and it is a good opportunity for Peshawar residents to enjoy one of the Pakistan’s finest and well-planned housing communities. Bahria Town Peshawar is in planning process while the administration is finalizing the launching date of Peshawar project. 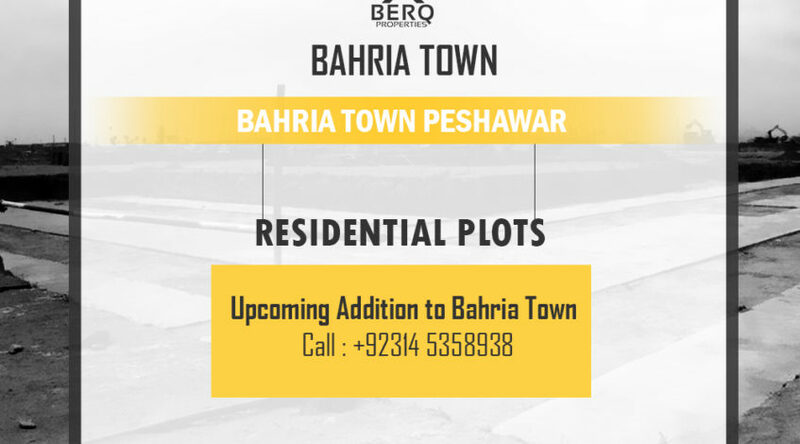 After the launch of the project, you can book the plots in Bahria Town Peshawar including Bahria Town Peshawar Residential plots and Bahria Town Peshawar Commercial plots.